The ascent of Aperio has been streamlined by the type of music he's delivered to the sister-label of Ram Records, Program. A hotly tipped newcomer, the producer was picked up by one of the most successful underground imprints after his name began building momentum within the world of drum & bass. His double-sided single forthcoming on Program alongside featuring artists Monrroe and Jorgie will act as another stepping stone for both his career the integral moments of his blossoming career. 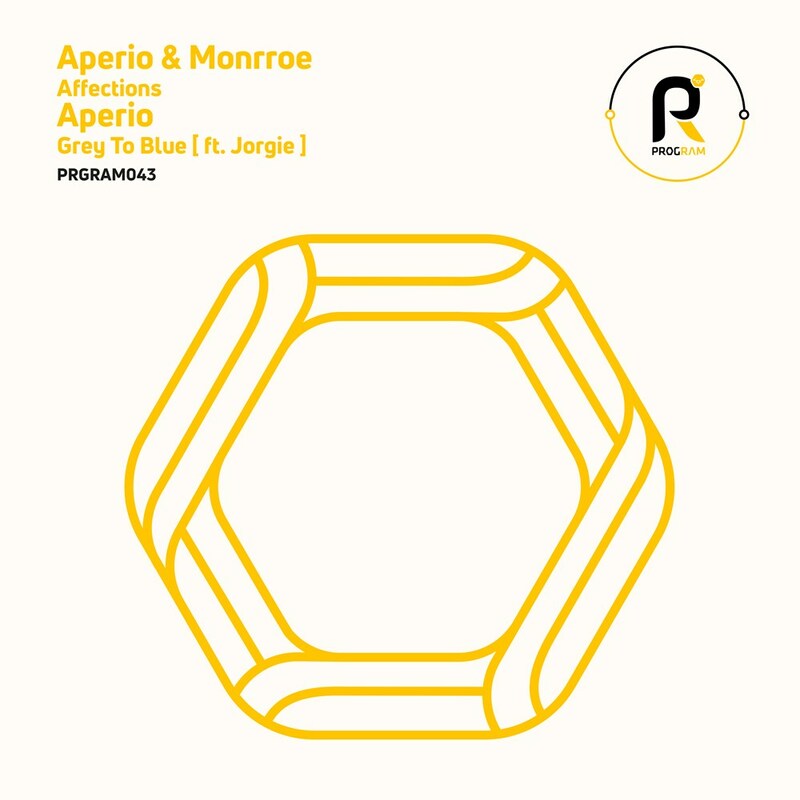 And having moved from strength to strength, with one meticulously fashioned record after the other, Aperio has made himself known throughout the 174bpm circuit - and for good reason. First from the producer comes 'Affections' alongside likeminded producer Monroe. Together they lay the foundations of a liquid roller which begins to build gradually on careful strung melodies and pitching synth patterns. The track cascades following a keyed drop, before each meandering break takes you through its motions. 'Affections' demonstrates the full depth of both artist's strict engineering, whilst also proving that they're able to hold their own against the other formidable parts of Program's back catalogue. On the flipside, Jorgie offers up her harmonic vocals for 'Grey to Blue' alongside Aperio's scuttling percussion and flowing piano notes. 'Grey to Blue' carries through the same vibe as its forerunner but brings the main focus onto its more humanistic elements. Orchestrating visions of summer nights and falling sunsets, Aperio opens up a musical landscape which encompasses you from the track's start to finish. It presents another end of Program's discography - the type with a softer palette and one Aperio manages to manipulate effortlessly. So once again, it's time to get with the Program - continuing to take you across drum & basses furthest corners.